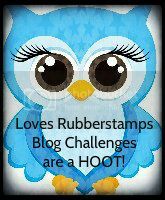 Loves Rubberstamps Blog: Next Stop....London! Today we have our weekly Saturday Stunner from Jacqueline Smith! She always has projects that are like mini works of art with the different textures and layers that she does. They are so fun to see! If you remember last week Jacqueline graced us with a beautiful Paris themed creation that she created as a memento for her trip that she got to take with her son (lucky her!) Well she is continuing her mementos with this London themed project which she also got to visit! The first things that just grabbed my attention was that stunning looking background! The colors are gorgeous! Jacqueline used a technique called Simple Batik to create it. 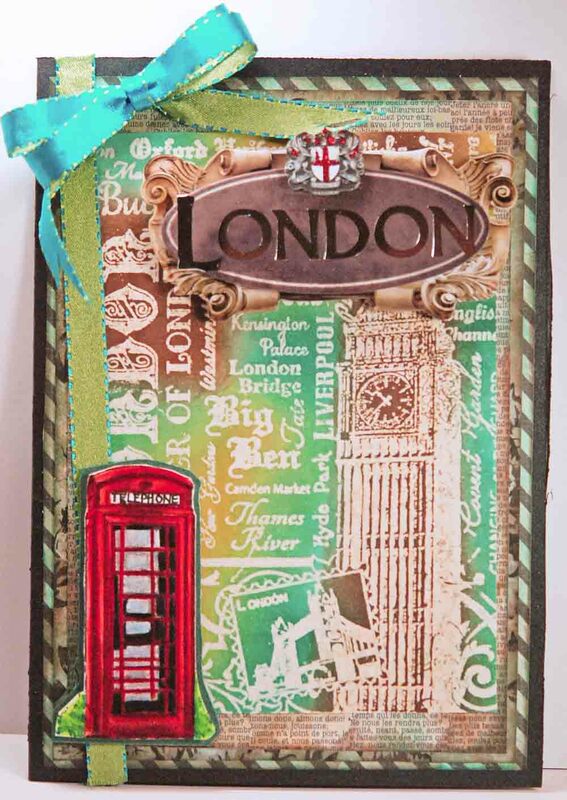 The image she used is the London Background stamp from JustRite Papercrafts. 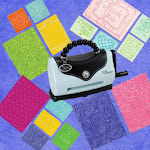 We will be getting more from this line, including this stunning stamp, this week or early the following week. I think this technique is absolutely gorgeous with this image and Jacqueline chose the prettiest colors. That beautiful London Telephone Booth is from the JustRite stamp set called London Greetings which Jacqueline stamped in memento tuxedo black ink before coloring with her prismacolor pencils. She does such a gorgeous job coloring with those, it always makes me want to dust mine off and practice my coloring! Looks so pretty! If you haven't had a chance to play in our challenge this week, you still have a few days.. and it is Anything Goes so it is a fun one! 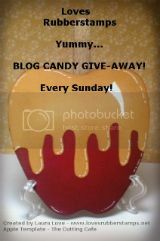 Also be sure to get your comment in on the Sensational Sunday Inspirations post because tomorrow we draw our candy winner and you don't want to miss your chance! oh beautiful, love the colors. Happy Birthday Saturated Canary Style! 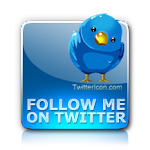 Sensational Sunday Inspirations + Blog Candy!